Broyhill excellent quality Loveseat sofa bed. In excellent, like new condition, used twice for grandchild's visit. 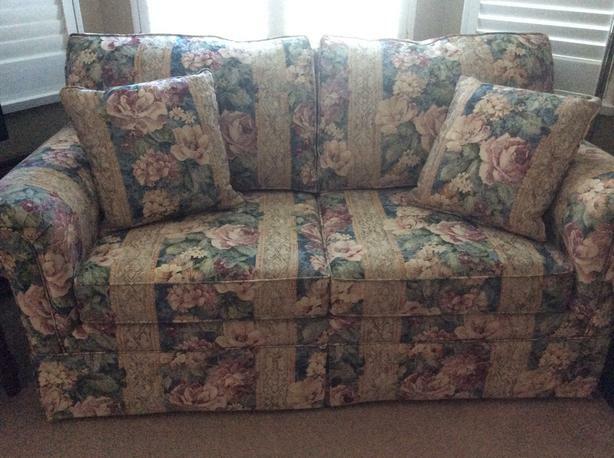 Soft floral pattern, comfortable for sitting with firm cushions and full overstuffed back cushions. Two toss cushions included. East open/close mechanism with the best sofa bed mattress available. Only selling as I am converting guest room to a den.